Letters to the Editor: The changing of the object! One of the strongest elements of my creativity, in my paintings or photos is the changing of the object. Something that was something before becomes something else when I apply it to my paintings ou photos. 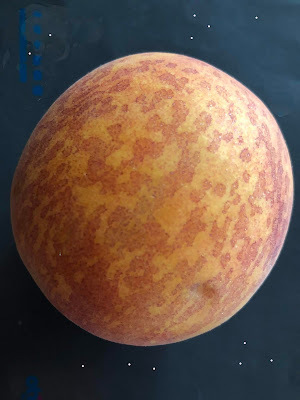 So the red planet was....A PEACH BEFORE!